This has been circulating on Twitter, courtesy of Jeremy Geelan – taken at W3C20. 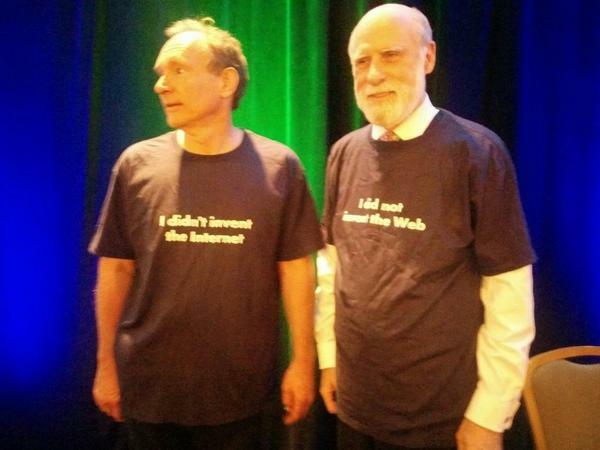 (For those not in the know, Tim Berners-Lee is on the left, Vint Cerf on the right, and the joke is on those who don’t know the difference between the web and the ‘net.) Lovely.